Star Trek creator Gene Roddenberry’s genius lay in the fact that he was able to take clichés from earth and create new, complimentary, ones in space. The resourceful Scottish engineer, sweating over decaying dilithium crystals, but always with just enough power to ‘beam me up Scotty’, was based on an old stereotype. Labouring away in the engine rooms of the world’s steam ships, transmitting Scottish engineering brilliance across the world, were legions of ‘Scotties’. Scottish engineers transformed the world. Updating the old stereotype, Scotland’s Artemis Intelligent Power won the MacRobert Award this July. Awarded by the Royal Academy of Engineering, this is Britain's top engineering prize. Artemis demonstrates all the positive characteristics of the old world: sparkling creativity, inventiveness, determination, long term commitment and deep rooted connections to Scotland itself. It adds some new ones too – multi-disciplined teams deliver engineering solutions across global markets. They use the patents system to license their innovations. 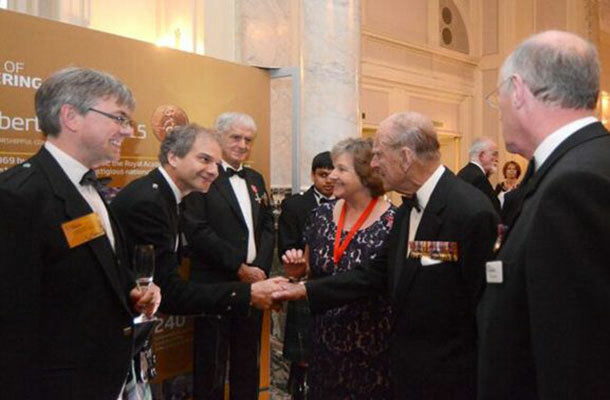 On the 16 July HRH The Prince Phillip, Duke of Edinburgh, presented the MacRobert Award to Managing Director Dr Niall Caldwell and his team from Artemis. Specifically for their ground breaking Digital Displacement® technology. The system combines the near instantaneous properties of digital technology with a new generation of mechanical hydraulic pumps and motors. This delivers huge increases in energy efficiency. The story of Artemis begins with a grand vision to make energy from sea waves and, in the process, to revolutionise hydraulic power technology, bringing it from an analogue technology into a digital technology. We started in the workshop with our own hands making prototypes – including myself. 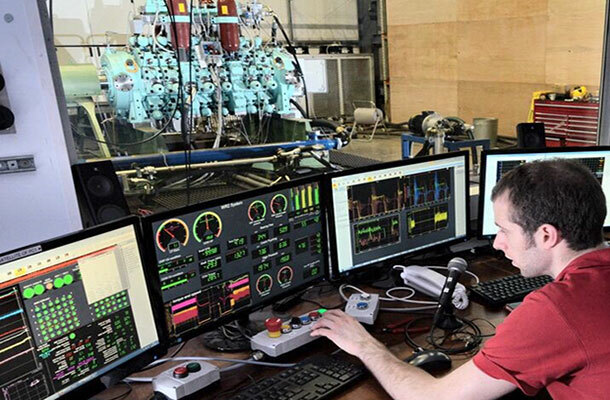 Formed in 1994 in the School of Engineering at the University of Edinburgh, Artemis is an example of a university start up that has evolved the potential to change the world. By 2008 the company had moved to its current home in Loanhead on the outskirts of Edinburgh. In 2010 Artemis joined MHI (Mitsubishi Heavy Engineering) in its drive to increase the efficiency and power output of its giant wind turbines. 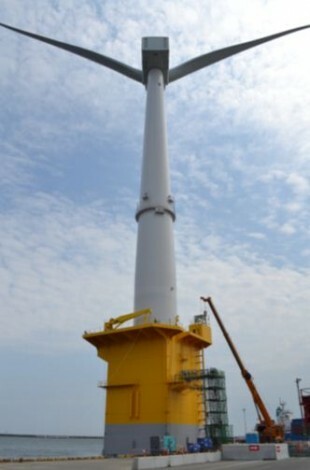 Today, the largest wind turbine in Japan and the biggest floating wind turbine in the world use Artemis’ Digital Displacement ® technology. Closer to home, trials took place on an Edinburgh bus (operated by Lothian Buses). After fitting a low-cost Artemis pump-motor to recover braking energy, it demonstrated fuel savings of up to 27%. Artemis retains its knowledge base and culture of innovation in the university city of Edinburgh. It owns over 40 patent families and dozens more with partner companies throughout the world. Indeed Niall Caldwell sees Artemis’ partnership with Japan’s MHI as central to his company’s success. Monozukuri is the art, the science, the craft of making things which respects the people and the skills who contribute to the manufacture as much as it does the ideas. So we want to import that monozukuri into the UK. Artemis cofounders, director, Professor Stephen Salter and chairman, Dr Win Rampen began work on wind and wave energy when the technology was in its infancy. Their company and its route to invention can transform the green energy agenda. Artemis’ inventive approach to innovation and its fusion of Scottish and Japanese engineering traditions challenges old stereotypes and depends on the successful development and management of IP. Perhaps one old fashioned engineering concept still underpins Artemis’ attitude. It transcends all cultures...never give up.